redwood, did those Virgos copme stock like that, or is that your own treatment? Question: Could any of these fit on a Subaru Legacy? this has to be a joke right?? Blueberry: 1989 244, dark blue. Ipd everywhere. H-cam. Advance and full retard switches on dash. Galaxy wheels, LSD, other stuff from a bunch of cars on here. This isn't even a trailer park suspension. I like swapping tires with different makes/models. (Some swaps look good! Where can I find these wheels by Eiker? Finding the Polaris has been too difficult and time consuming. Thanks for the lead(s). ha i have some that aren't on the list. Let me go put some pants on and batterys in my camera to show you. their not aftermarket they have a volvo stamp on the inside of the rim and the have volvo caps to go in the center. My 96 855 came from the factory like that. yah the mesh we're on 94.5-95 base mags. But i knew the car from the first day and it always had them. The "meteor" rims on the first page are called "ariane". Those where also in the one pdf, but there they were named "ariana". I didn't know they made so many different wheels. Will the Thors on my wife's s60 fit the 84 244 without contest? Brilliant, this n00b thanks you for this sticky! The Thors on my wife's s60 will fit the 84 244 with spacers. "Comet" and "canisto" wheels look the same to me...what's the difference? canistos are a split 5 spoke design. comets are a fan-like 5 spoke design. 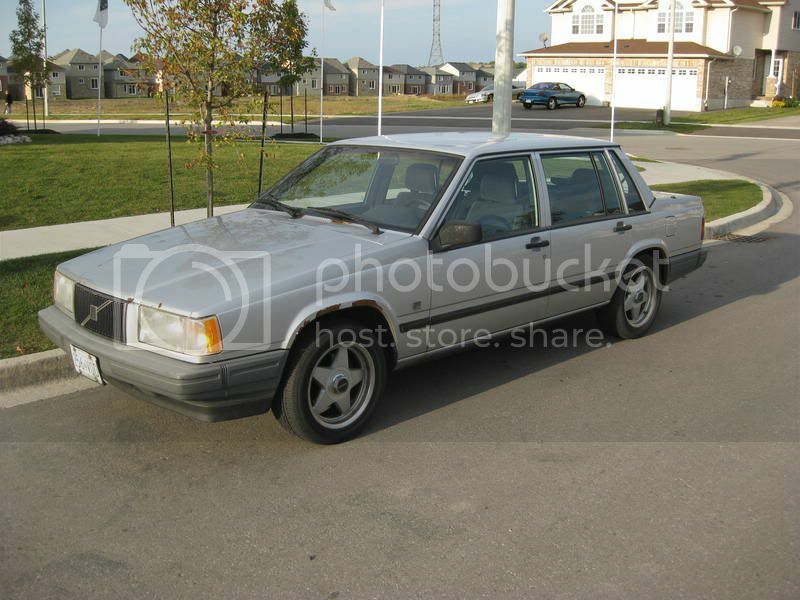 500dollar744ti or w/e his screen name is has them on his car...the 16v turbo...errrrr the white car.